Buy with confidence from APMEX on eBay! Immediate payment of US $68.99 is required. 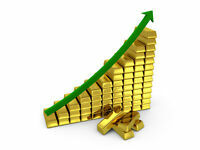 Incredible gold bars! Thanks APMEX! Great item with a great price! 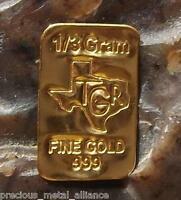 KILLER GOLD BAR ...THANKS A LOT !! Great purchase! Arrived fast and safe!! Thank you! KILLER ITEMS ...THANKS A BUNCH !! 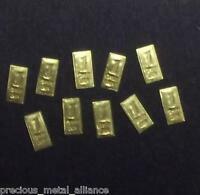 The introduction of the hologram on the gold bar is a nice technological advancement and assurance that you are buying quality product. 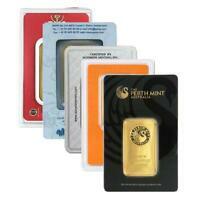 The low weight purchasing options makes for a nice way to accumulate bullion as a currency hedge. Gold bars are always a good investment, especially a unique one! Gold bars are always a good investment, especially a unique one! 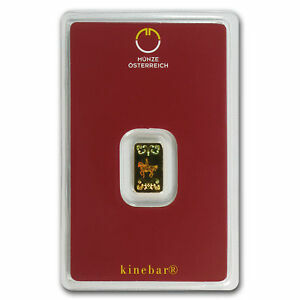 While the gold content is always there, this isn't the average IGR (Istanbul Gold Refinery), Altin, or even higher end, yet common, Credit Suisse, Valcambi, or Pamp Suisse bar, this hologram gold bar by the Austrian mint is sure to have additional collector value in years to come. Plus, the hologram is fun!